I finished her last night. Nora Corbett’s Coral Charms. She is a little beauty and she sure has a lot of beads. 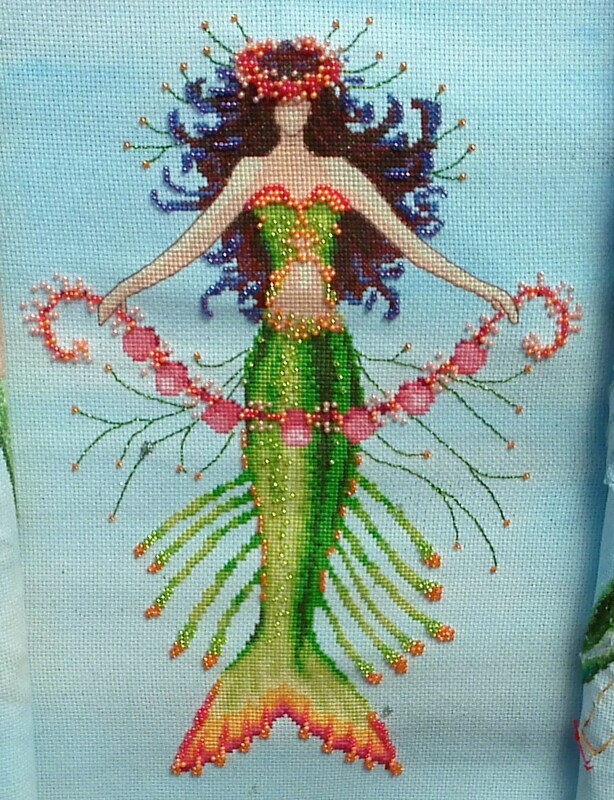 I am now working on mermaid #3 of my trio and hope to finish beading her tonight. 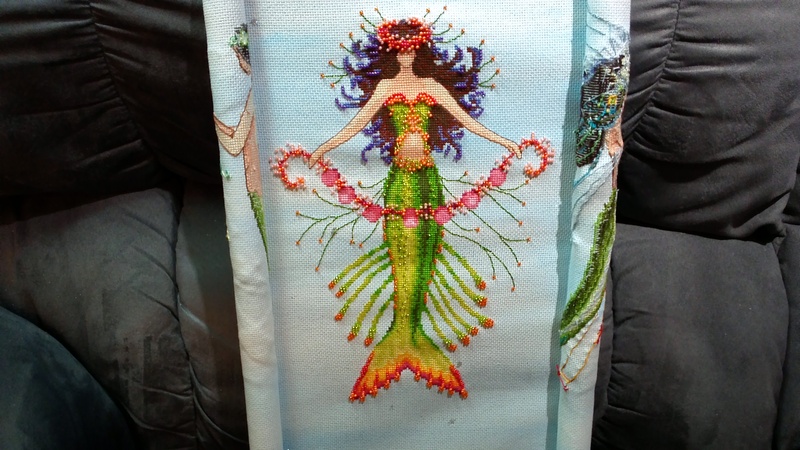 Then I can reveal the entire mermaid trio. I am so excited about this piece! GORGEOUS! I love the purple you added to her hair! Can’t wait to see all three together. It is an awesome tail, isn’t it Paardje? I just had to get a picture of just that. Such pretty colors in person. Me too, Amanda. And all the beautiful colorful beads, too. Yay! I know you can do it! This one is so fabulous with all of those colors. Thank you. She really is the most colorful mermaid. Such bright and cheery colors. That looks amazing!!! I can’t wait to see the trio! It came out so nicely! 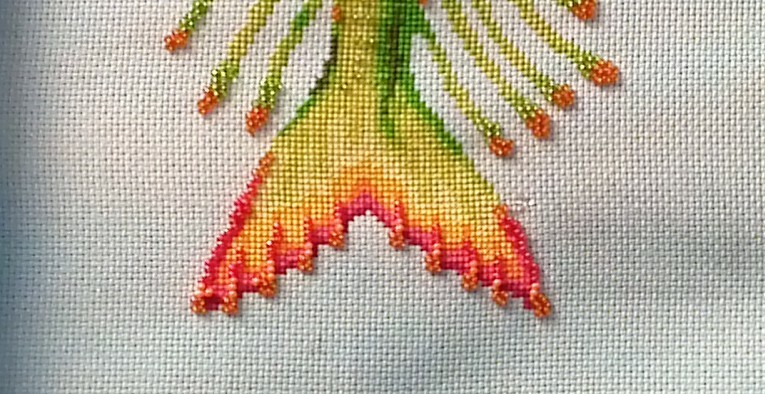 🙂 I love the beading, does the beading take a lot of additional time? Thank you, Michelle. 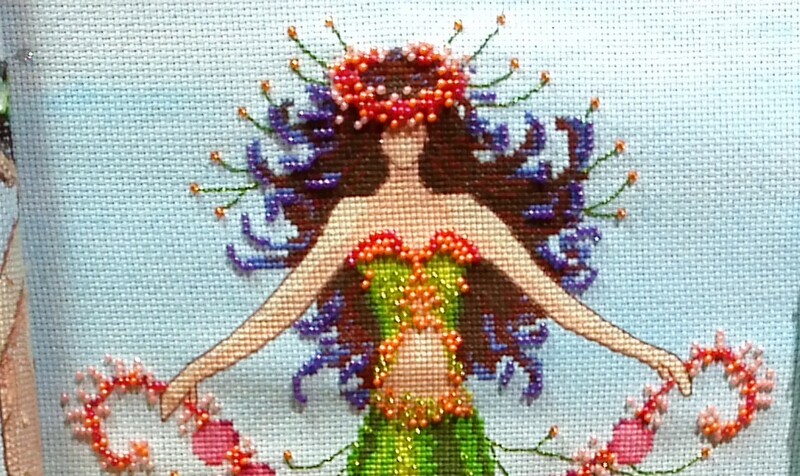 The beading does take time, especially if there are lots of beads as there were in Coral. But I love the beading part. It adds all that sparkly goodness that makes it perfect. Thank you, Littleblackdogsa. I really enjoyed this piece and the beads were so worth it. She is so sparkly! Thank you. She really is quite cute and colorful in person. And sparkly!